Myth #1 – Pit Bulls are vicious and mean. If you care to call Pete of the Little Rascals a ferocious baby killer, than I suppose the answer is yes. The truth is, these dogs were much revered and adored in the US around the time of World War I, and they were used as a mascot for many of the war posters of the time because of their intelligence, strength and determination. They were also commonly referred to as “nanny dogs” because many mothers would leave their children with their beloved family bully while they did clean up and food prep around the house. If you want to take a look at the numbers, the American Pit Bull Terrier scores 84.1% on the American Temperament test, which is higher than the Golden Retriever at 83.8%. The ATTS uses a multi-faceted test that looks at behavior toward strangers, reaction to auditory stimuli, reaction to visual stimuli, tactile stimuli and self protective/aggressive behavior. Pit Bulls can be found all over the country filling many different roles such as therapy dogs, drug sniffing narcotics agents and seeing eye dogs. Myth #2 – Pit Bulls have mutant locking jaws. I find this to be one of the most pervasive misconceptions out there regarding Pit Bulls. First of all, no dog has locking jaws. Who started this one, anyway? When I hear people come at me with this “fact” I myself sometimes wish I had locking jaws to prevent them from spreading the rumor further. 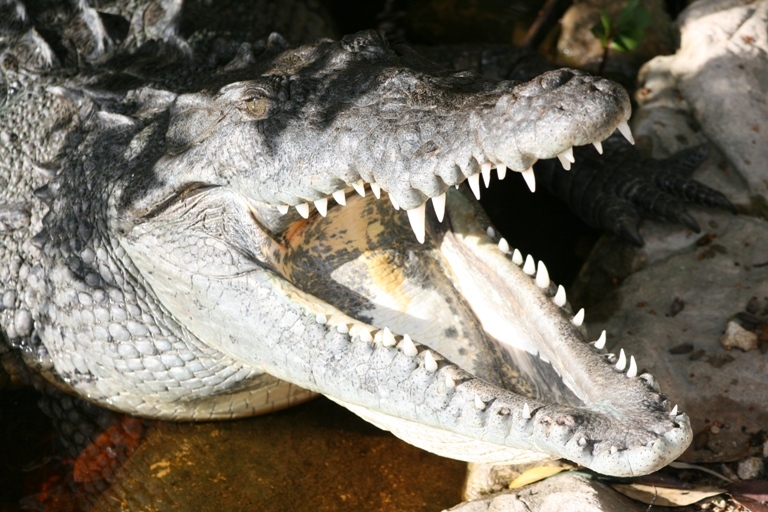 The anatomy of a Pit Bull’s jaw is no different from your grandmother’s miniature poodle, besides that, the only animal I know of that has locking jaws is a crocodile. That said, Pit Bulls do have very strong jaws and they enjoy participating in activities that allow them to utilize their natural tendency to grasp and hold such as tug-of-war and hanging from trees (this is not very good for their teeth though). 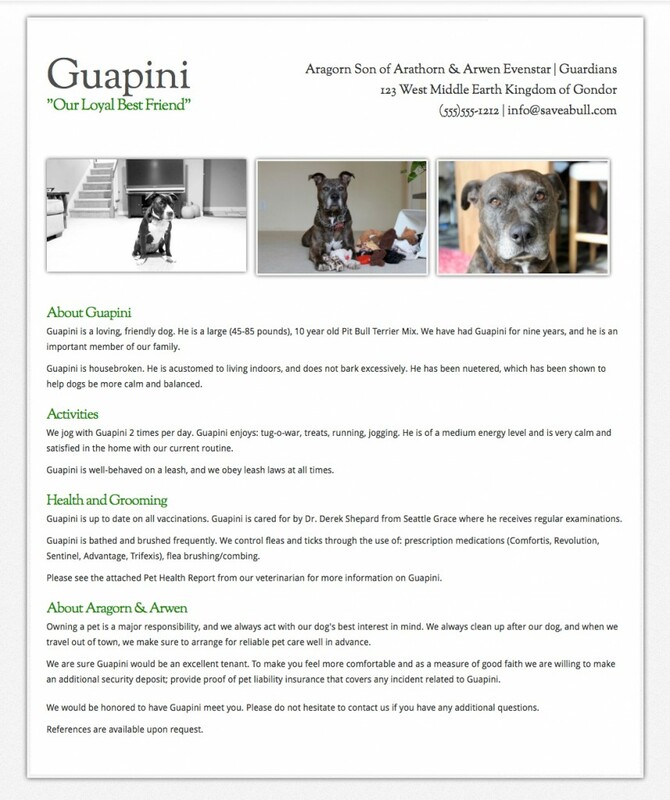 Pit Bull owners need to be aware of this desire to grasp and hold and be sure to provide ample opportunities for their pet to express these urges, as well as teach their pet to ‘drop it’ on command. Myth #3 – Pit Bulls are genetically predisposed to attack humans. Without getting too much into a nurture vs. nature debate, there are certain characteristics that can be expected from certain breeds of dogs, and human aggression is not a Pit Bull trait. During the time frame when Pit Bulls were bred to fight other dogs or in bull baiting, their handlers needed to be sure that the dogs were not going to attack them when they went into the arena to retrieve the dogs. Because of this need for the owners to handle their dogs without being injured, aggression toward people has been selectively bred out of Pit Bulls, hence their adoring nature toward their people. It is also important to make the distinction between dog/animal aggression and human aggression; just because a Pit Bull does not like other dogs does not make him aggressive as a whole, i.e. just because your pitty tried to chase a cat does not mean your 3 year old is next. Any Pit Bull that shows signs of human aggression is not typical of the breed and should be promptly evaluated. 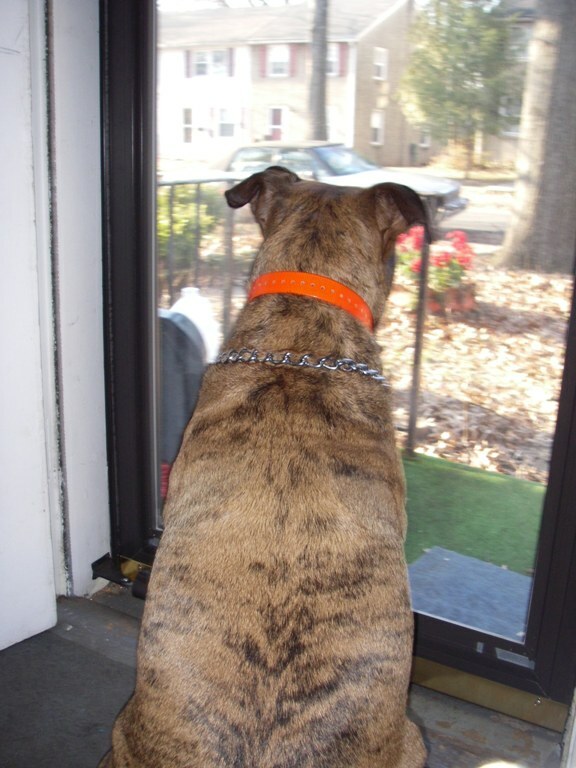 Myth #4 – I really want a watch dog for my house, I am going to get a Pit Bull. You are kidding right? I admit that Pit Bulls can look tough, but most of them are huge softies that would rather show a burglar where their treats are than provide any sort of protection. Most will probably alert you with a bark or other sign if something out of place is going on, but in the end they will ultimately leave the guarding to you as you are the pack leader and it is your job to take care of the pack. That is not to say that if you are actually being threatened or attacked they will stand idly by, a Pit Bull will instinctively do what ever it takes to protect their master. If you truly are interested in a dog that will attack on command and make sure unwanted visitors are not welcome in your house, you should look elsewhere or possibly consider a burglar alarm. Myth #5 – I am having a baby, I need to rehome my Pit Bull. This one really gets me. I have never heard anyone say, “I am getting a Pit Bull so I need to get rid of my baby”, yet that is how it reads to people who consider their pet bulls to be part of their family. There are tons of great resources out there if you are unsure how to go about introducing your new baby to your dog, and as long as you keep the interactions simple and supervised you have nothing to worry about. A good first step in the introduction process is to bring home a blanket the baby has been sleeping with for the dog to have before the new baby arrives home. This way the dog can start to become accustomed to his/her scent being in the house, and the dog will also have something positive to associate the smell with when the baby does arrive. The Humane Society website is an excellent resource for any questions you may have pertaining to this issue – The Humane Society of the United States. 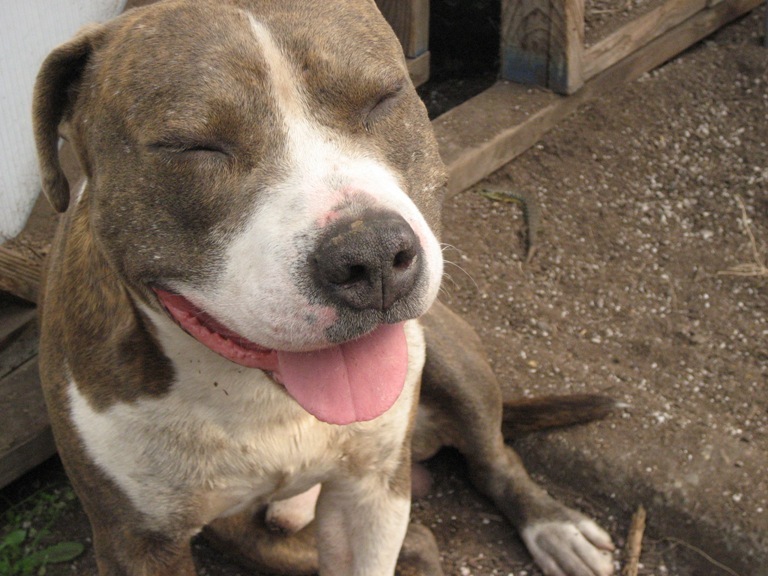 Myth #6 – Pit Bulls are unpredictable. As is the case with most stories, the unprovoked Pit Bull attacks you hear about on the nightly news are not actually ‘unprovoked’ as you are lead to believe. No breed of dog randomly “turns on” people. Aggression in dogs is almost always preceded by a warning signal and there is always an underlying reason for attack. Unfortunately there are many inexperienced Pit Bull owners out there that do not recognize a dog’s displayed behavior as aggression, or simply refuse to believe that their dog is acting in an aggressive manner. The inexperienced owner, inattentive owner and abusive owner are the reason Pit Bulls continue to be portrayed in a negative light within our media outlets. A well-socialized, trained and loved Pit Bull can be trusted and are affectionate, intelligent, highly trainable dogs. Myth #7 – I am going to raise a Pit Bull from a puppy so I can train it to act the way I want. There is really no way of knowing the way a puppy will act once it becomes an adult. You may have picked the most “mellow” pup of the litter, but later on your little Pit Bull puppy may decide running around like a madman and chewing everything lower than 3 feet is the way to live! If there are certain qualities you are looking for in a Pit Bull, or any dog for that matter, your best bet is to visit a local shelter or rescue and adopt an older dog, as they have already formed their personality and habits by this time. There is no need to be weary of adopting an Pit Bull, as the shelter/rescue will have tested them and/or fostered them to learn all about their ins and outs. Having a puppy can be a rewarding experience, but young dogs require a lot of time and energy, so just be sure you are up for the challenge before bringing home your new dog – we do not want to see them coming back to the shelter a few months later because you did not have enough time for them. Myth #8 – My neighbor runs his Pit Bull on a treadmill, he must be used for fighting. Absolutely not true, and what are you doing spying on your neighbor anyway?! The truth is, treadmills are a great way for Pit Bulls to work off their excess energy and are especially practical in areas where weather or other conditions restrict an owner’s ability to take the dog out. A lot of owners whose Pit Bulls are involved in sporting activities like weight pull and agility will use the treadmill as part of the dog’s endurance and strength training regime. I can sit here and refute pit bull myths for pages and pages, but the point I am trying to get across is this – the media will tell you anything you want to hear. If you want to hear about Pit Bull attacks and the reasons why banning Pit Bulls and promoting breed specific legislation will help the nation, they will be more than willing to overdose you with incorrect fact/figures and induce hysteria in those mesmerized by their spell. It is depressing that we live in a time when we need constantly second-guess the information presented to us as fact, but make sure you do just that, and not just with Pit Bulls – my best friends and I would really appreciate it. AMEN! I agree with every word you wrote, except that my pit is an excellent watch dog. 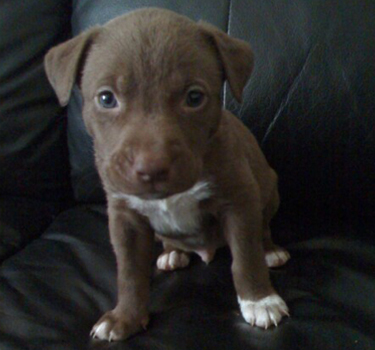 My son, a probation officer, purchased a 5-wk old Red-Nosed American Pitbull eight years ago. Because of his work hours, etc. I soon inherited her & fell in love. I have two granddaughters, 3 & 5 whom she dearly loves. Maya turned eight on this Cinco de Mayo. On her birthday, she turned up lame on her hind leg. Upon taking to my vet, who took x-rays & manipulated her leg to test, she was diagnosed with an acruciate ligament tear (ACL). It is not only a very expensive surgery, but there is a good chance that the same could occur with the other leg! We have many stairs in our house & live in Lake Tahoe area. She will need to be kept quiet & on leash for months, which means that she will be cooped up all summer, living downstairs, away from us. I ran across your website while reading up on ACL injury & options for treatment. She is currently on an anti-inflamatory med. that seems to relieve discomfort & she will even walk on that leg. Now, I am wondering if surgery is the best option, esp. since her vet told me that it was possible she may have the same problem in her other leg because of favoring the injured leg! Have you had any experiences with this injury and your pits? why do people have to be maen to pit bull’s. I wish i could put a stop to this it is mean that they do this to these dog’s not to other dog’s. It mean when they fight the dog’s. We need to put a stop to it so lets put a stop to it now and not later?